So let’s talk about breakfast here for a minute. I must confess, my breakfasts have been grab and go, unless it’s the weekend. And when I say grab and go, I mean a banana and nut butter. The kiwi will do the same before an early morning swim. But here’s the thing, I fully BELIEVE in a second REAL breakfast. The first one doesn’t really count, does it? It’s just breakSNACK? haha. This is where my POWER bowl obsession comes in. Power bowls are great for post workout, late breakfast, or for when you actually have time to eat a real breakfast first thing. The trick is to make the breakfast power bowls the night before, and here’s why. 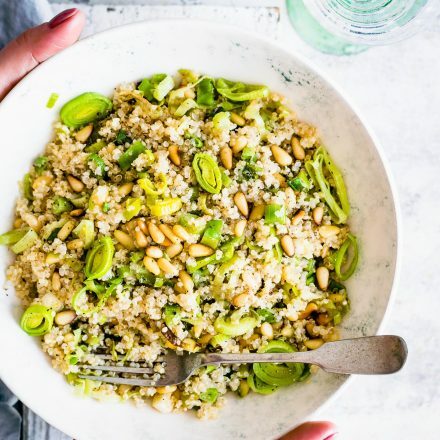 You want to soak the quinoa and the chia seed –> helps break down the phytic acid (in seeds and grains) so you can digest it better and absorb nutrients. Adding a bit of vanilla extra, honey, and coconut milk to the chia and quinoa will give it more sweet flavor without the extra sugar. Texture! Soaking it will give you more of a porridge/pudding like bowl. Which is of course fun to eat! Fiber, another reason why i eat this post workout (not before) or on a regular non workout day when I can eat a hearty bowl for breakfast first thing. It keeps you full along with the healthy fats. Overnight oats are popular, but why not switch out the oats for quinoa ever so often. They are a “pseudo” grain and have more complete amino acid break down. Is that enough reason for you to try breakfast power bowls? So yes, let’s POWER through the rest of this post and jump to the recipe, shall we? 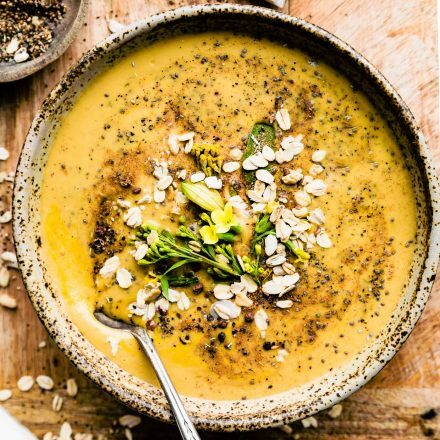 Combine your chia seed and quinoa side by side in a serving bowl. Drizzle your honey and nut butter on top and then cover with milk and extract. Might be less than cup at first, but at least 6 oz. Mix or keep them separate. Either way it will come out great, just different textures. Add a dash of the lemon juice then top your bowl with your nuts, cocoa, and blue berries. Save the sliced banana until the morning. Store in fridge for at least 4-5 hrs. Once ready to eat, drizzle more milk or honey on top, if desired. Well folks, that’s all I have for now. I’ve got to run and pack for New Zealand! Did I tell you that I was leaving this week? Hence the need to power through this week. Gah, can’t wait! 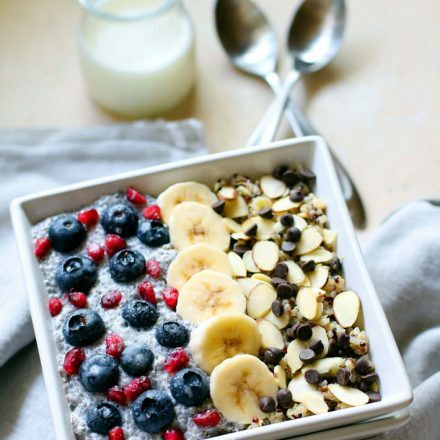 Do you have a favorite breakfast bowl recipe? Do share! I love more ideas! This looks fantastic! My daily eggs are getting a little boring and I’ve been thinking about other ideas to start my day! This looks soooooo good! A sweet breakfast that won’t give you a sugar crash an hour later! The nut butter is not optional, at least in my world! Sounds great and I’m all about this kind of breakfast. I never think of quinoa for breakfast. But I do add chia to my overnight oats that I have each day (though, I reheat it in the morning). Yummmm! 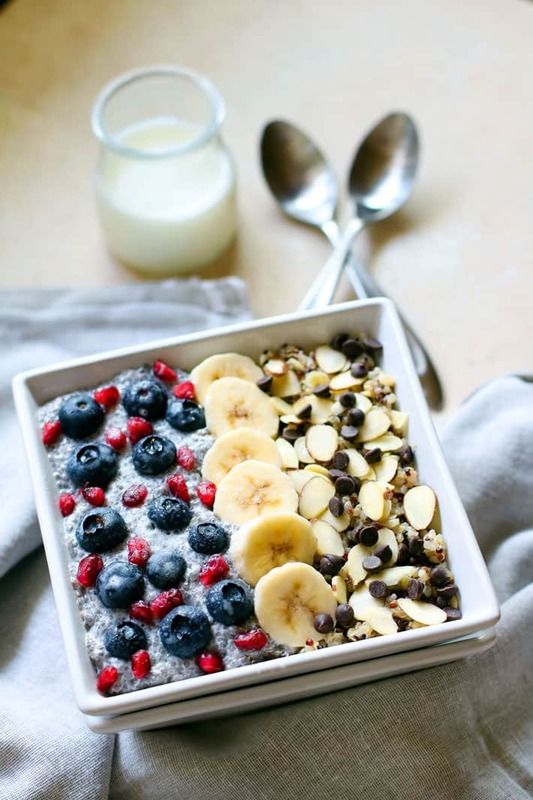 Sweet bowls of grains + fruit + nuts/seeds are seriously my favourite way to start the day. Oatmeal with banana and almond butter is my standard, but I like to switch it up with different grains, fruits, and toppings too. Those sound delicious and your photos are gorgeous, girl! Happy Wednesday! YES, your photos are awesome these days!!!!!!!! I’m going to have to try this – looks delicious! I need some power in the morning! Like a cheerleader in a bowl! Love this. I’ve been obsessed with quinoa lately. Wow!! These look really amazing. I def have to bookmark this and put it on my breakfast rotation for next week. My breakfast bowl as of late is always topped with blueberries, almond butter, and hemp seeds. It’s usually oats underneath. I need to venture out and use different grains! This sounds AWESOME. Quinoa + chia is a combo I’ve never tried before, so I need to get on that. For me a breakfast bowl usually is a super-thick smoothie that I can eat with a spoon. It’s so much more satisfying that way! This looks SO SO GOOD! Making it for tomorrow if I get my act together before then. 🙂 Have fun joining James in NZ! (how long are you gone for?) Missing you today! So healthy and nourishing! eeek- Have a blast on your trip!!! My breakfast bowls are not as exciting or beautiful as yours, but they are tasty! My go-to is oats, banana, chia, cinnamon, goji berries, and blueberries, topped with PB and almond milk. Never disappoints. 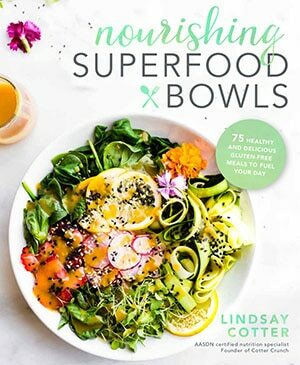 I’m a big fan of power bowls and this one looks amazing!! Yummy goodness! Breakfast should always be in a bowl 😉 Love all the grains out there! 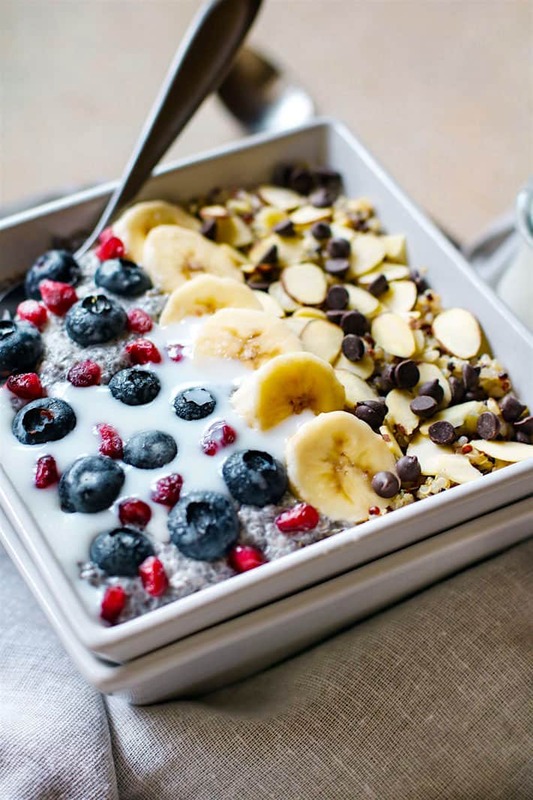 Quinoa, buckwheat, oats, there are just so many protein packed ones to choose! oh yes, buckwheat for sure! I have never tried a breakfast bowl before. This looks delicious but I need to figure out a way to get more protein into it. Have you ever added protein powder to it? yes! i added protein for sure with the quinoa or I use gelatin powder that dissolves. You can also mix in greek yogurt versus milk. Hey, have fun on your trip!! 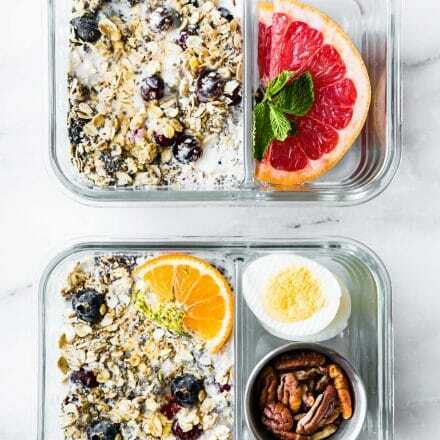 I love having a second breakfast, because I also grab and much on my commute then usually have oatmeal or whatever my main breakfast is once I get to work while reading emails. I’m more than happy to talk about breakfast for more than a minute… especially with someone who believes in first and second breakfast 😀 I’m a HUGE breakfast bowl fan, and while mine usually involve oats, I’ve been switching it up with rice every now and then and I’m loving the results. OMG! Have a great time. I love the idea of a breaksnack and a second breakfast. I am not good with eating first thing in the morning. I usually grab and avocado or (decaf) coffee with cream. Yep, you know I’m a huge fan of breakfasts and if I could get away with it I’d just eat that all day. I like your addition of cocoa nibs or dark chocolate chips, I’ll need to give that a try in one of my breakfasts. So, I have soaked cooked quinoa before but that was just to get it real mushy before using it to make pancakes – I had no clue that soaking it lead to the breakdown of phytic acid! Lady – like this bowl – you are a powerhouse – of information! I love coming by your space not only to get my drool rolling but to learn something new – guaranteed! That bowl is such a wonderful array of textures and flavors – so much better than a breakSNACK! This looks fantastic, my friend! I love overnight oats, so I’m intrigued by the idea of using quinoa. Yum! Yes. Making. Pinning. Wishing I was eating now! dude, i ate it for dinner one night too! LOL! This looks amazing. I love oats or power bowl concoctions for breakfast. Mine will probably look less pretty but just as delish! i’m sure yours are GORGEOUS! Ahhh this recipe looks so good! I have all the ingredients, too, except for fresh bananas – all of mine are currently frozen, awaiting to be banana ice cream ;). Pinning this so I can make it later! These look great! I often make a batch of quinoa or steel cut oats to last about 4 days. But the toppings…I definitely needed this for inspiration, mine are pretty lacking. I just bought some raspberries that I think will definitely be a topping for tomorrow. I love the square bowls, too! SO fun! What a beautiful breakfast! I’ve got to try this one – I’m pinning it! thanks Kristie! Let me know if you do! I have a feeling I’m going to be eating a LOT of this on the road in a week and a half! Yet another awesome recipe, Lindsay! I love the idea of adding in some non-traditional grains for breakfast. And this recipe would be easy to play with, I think–adding in different fruits depending on what’s in season. Can’t wait to try this! let me know if you give it a whirl Beth! So interesting about the soaking and phytic acid! Quinoa has been hurting my tummy lately so I wonder if soaking would help with that! Doesn’t hurt to try! let me know if you do! it helps me for sure. Awesome idea for breakfast!! I must try… this will def. come in handy during the summer months! I’m currently loving 3 grain breakfast porridge topped with nuts/seeds & berries! Otherwise I love a big bowl of fluffy oats with a scoop of vega! Can you also pack one of these for me? i’ll try to jump the ditch. haha! These look so good! Leftover quinoa is such a great breakfast and makes a fab switch from oats! love this idea and all of the information about quinoa and helping it digest better 🙂 You rock! Totally trying this tomorrow for a Friday morning breakfast. no YOU ROCK! love you! I believe in eating whole foods for most of my meals, and I’m a big proponent of first and second breakfast. This power bowl look amazing. I love the addition of the fruit, the chocolate and the nuts. 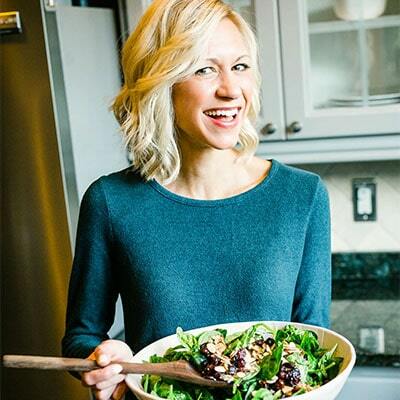 I love this Lindsay, what a great way to shake up breakfast! so glad you liked it Jess! not a silly question at all. I soak my quinoa precooked in regular water for a few hours to release the certain enzymes (phytic acid) that can be hard to digest. If you add an acid, it will probably neutralize it faster, I could be wrong on that though. I think just letting it soak before cooking, then cooking, then soaking it again with the milk in the breakfast bowl is just as powerful as adding an acid presoaking because you are really double soaking it. Does that make sense? 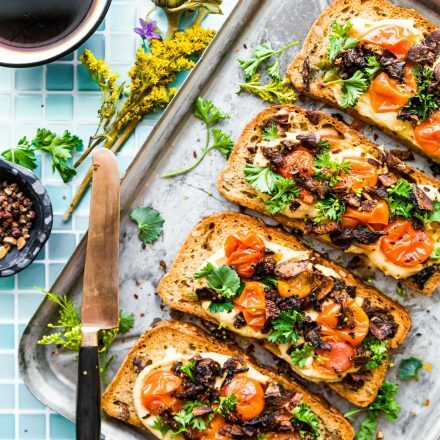 Not only is this visually appealing, but it sounds so nutritious and amazing! Great idea to combine the two side-by-side. Yes, it so is! let me know if you try it Kori! It says in the recipe that the quinoa is to be cooked, I usually make mine in a rice cooker with water. How do you recommend to cook it? Tasty and pretty easy. It was totally a new idea for me, thanks for posting. So much goodness in one bowl!! Love making these combos for breakfast!